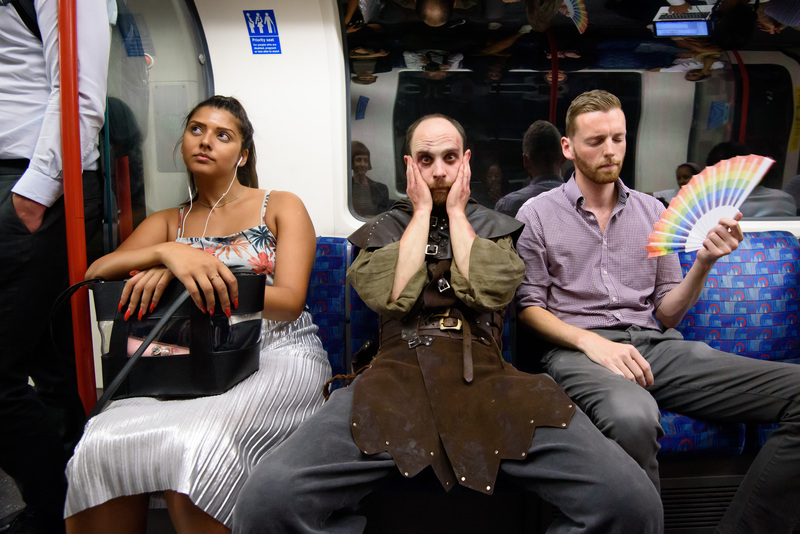 With the UK currently experiencing the hottest summer since records began, the London Dungeon announced today it will be unveiling a brand new experience 'Torture on the Tube'. Widely considered it's most sinister and unbearable show to date, the new addition will send commuters everywhere into a wild panic, as it brings to life the horror of travelling on the underground during the sweltering summer months. The Dungeon Torturer has been hard at work, creating new ways to scare the unsuspecting guests of the London Dungeon and he is now trading in the rack for the track with visitors set to face all the stages of the Central line's misery. Visitors will be packed into a confined standing only space with the temperature cranked up to 39 degrees - the highest recorded on the line this summer - next to hot, sweaty, smelly London Dungeon characters. They will then experience the sensation of travelling between stations before leaving angry, breathless and covered in sweat. The London Dungeon is known for bringing London’s darkest history to life for guests, with the chance to experience the stories of infamous gory characters, such as Jack the Ripper and Sweeney Todd. For more information on the London Dungeon, click HERE.